I ENVY THE KANGAROOS is a devised solo‐performance which engages the audience to a poetic and visual world whilst exploring the idea of otherness and ownership.Maritea Dæhlin plays with the idea of creating a non‐linear world filled with physical actions and text, as well as the idea of selling artistic solutions to real, yet absurd, problems. In this way the stage is transformed into a complex world of emotions, images, rituals, anecdotes, songs and objects, which welcome absurdity and humour, bringing us to the limits of our loneliness. Concept, direction, script and performance by Maritea Dæhlin, Costumes and props by Ursula Lascurain Holguin, outside eye by Juan Sebastian Mariscal, and creative and technical assistance by Soh Tokunaga. 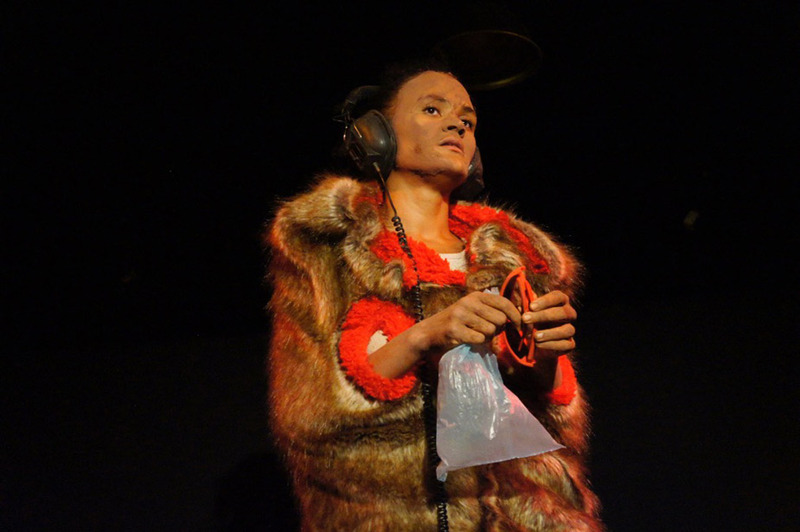 Maritea Dæhlin completed a BA (First Class HONS) in Devised Theatre with Digital Arts at Dartington College of Arts in England, an MA in Psychodrama at the Mexican School of Psychodrama/Casa Luz and acting at Nordic Black Express in Norway. She has one foot in Mexico and one in Norway, with two hands to move freely without borders. Maritea also organises projects involving other artists under the name of TRENZA NEGRA. 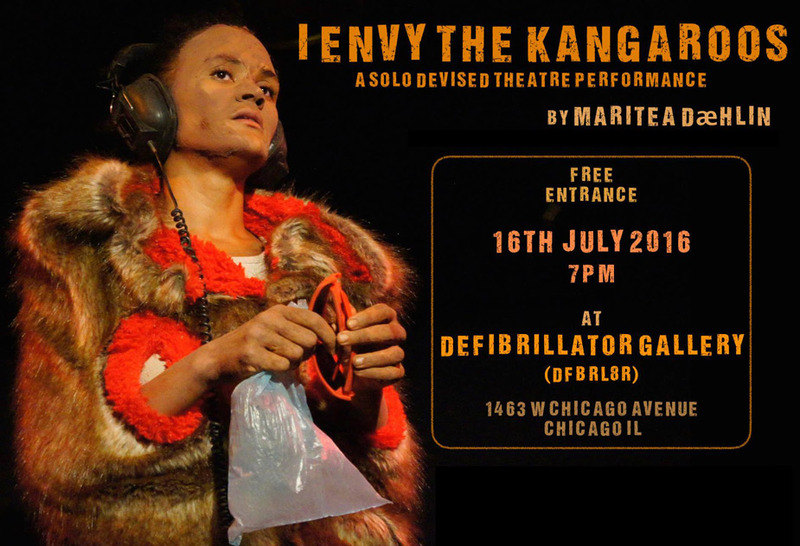 I ENVY THE KANGAROOS is made possible by support from the Norwegian Ministry of Foreign Affairs, Performing Arts Hub Norway, and the School of the Art Institute of Chicago Department of Performance.